On Saturday, Will fired up the sawmill and cut a nice pine log into boards after changing the belt, which had frayed and come off. Then, that afternoon, he and David went to our logger friend’s place and loaded a big trailer load of cedar logs. The smaller ones will be fence posts on our new forty acres. The larger ones will be fence posts for the new corral Will wants to build where we feed the horses and cattle big round bales during the winter so they don’t gobble up and trample the early spring pasture before it’s grown up high enough. 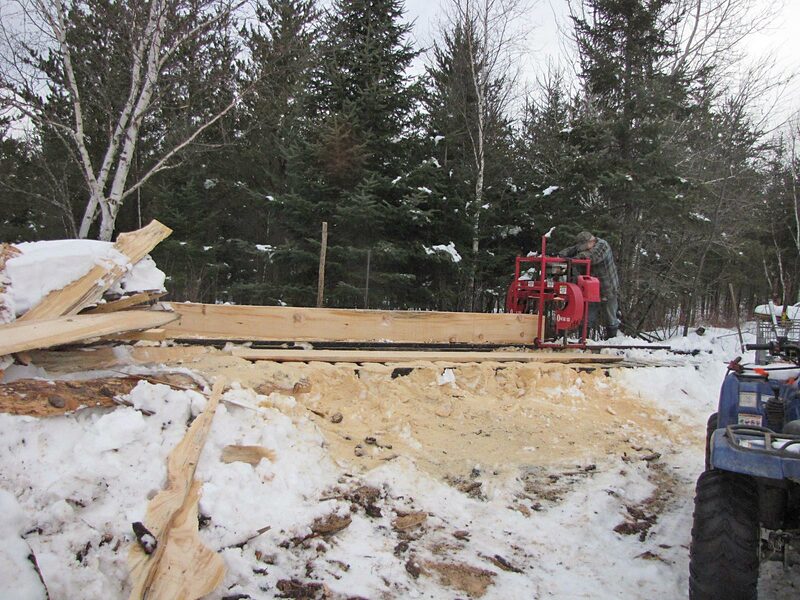 The very large logs will be turned into boards and siding on the sawmill. We now have a lot of potential building material! On Sunday, we drove down to son Bill’s for our granddaughter Ava’s 6th birthday party. But on the way down, the Subaru overheated (again!). So we had to stop twice for antifreeze and then for a new thermostat. After the party, Bill, David, and Will worked on installing the thermostat in Bill’s heated garage. It didn’t take long and we haven’t had an overheating issue since. I hope that was it. 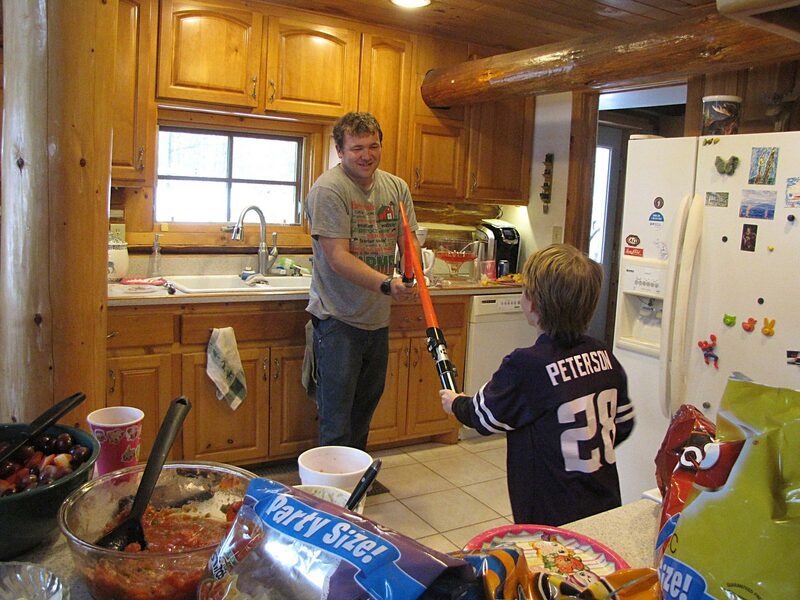 After the party, our grandson Mason got out his light sabers and he and David dueled in the kitchen. Mason “won” while David was distracted by someone talking to him. The Force was not with him. Last night, we had to laugh. Spencer is like a cat in cleaning his feet SO thoroughly. He even holds his hind foot down with his front foot so he can clean the hairs between the pads! We have SUCH smart animals around here! I would like a seed catalog but I figure out how to order one. just e-mail me at seedtreasures@yahoo.com and let me know your address. That’s it! And glad to send you one. In the meantime, you can just click on the above Seed Treasures box and you’ll speed to our website, complete with lots of photos! Those Labs and their webbed feet! It takes ours about 20 minutes after one of his walks! 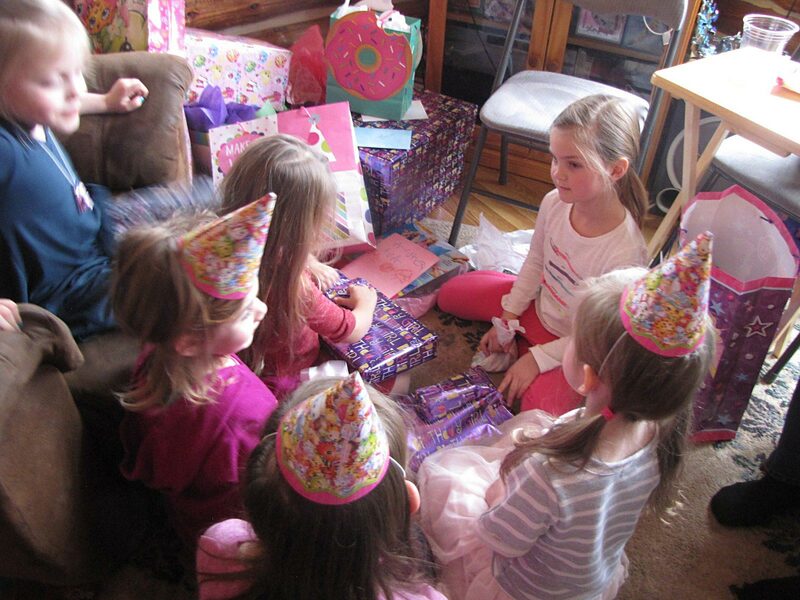 Looked like Miss Ava was having a wonderful party! Thanks for sharing. Blessings. Glad you’ve had some enjoyable family time. Bet it smells wonderful around the mill cutting the cedar. Thanks for the update on the happenings around your homestead! Always a pleasure seeing your posts!